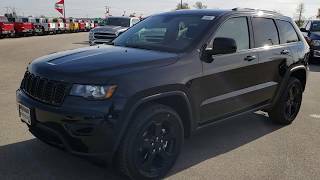 The 2019 Jeep Grand Cherokee arrives at a time when other Jeep models are undergoing big changes. 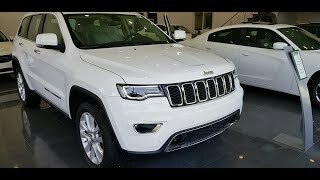 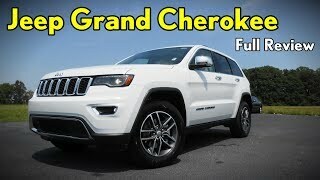 So what's new for the Grand Cherokee? 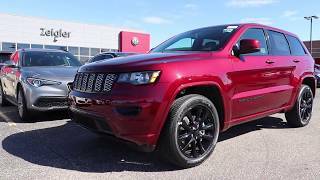 In this video we go over those changes, but they're largely centered on technology and the new Limited X package. 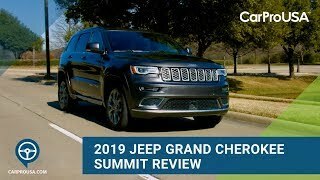 Specifically, Grand Cherokee bolsters its safety credentials by now providing blind spot monitoring and rear cross-traffic warning systems as standard equipment. 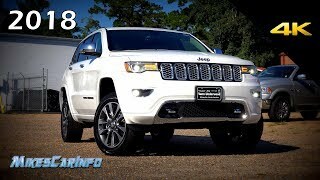 Inside, the excellent Uconnect infotainment system gains standard Apple CarPlay and Android Auto connectivity. 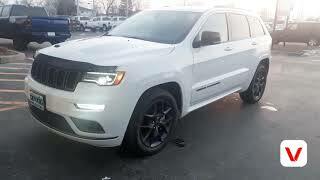 As for the Grand Cherokee Limited X model, it basically combines styling details from the Summit and the SRT trim levels, while adding a special graphite trim. 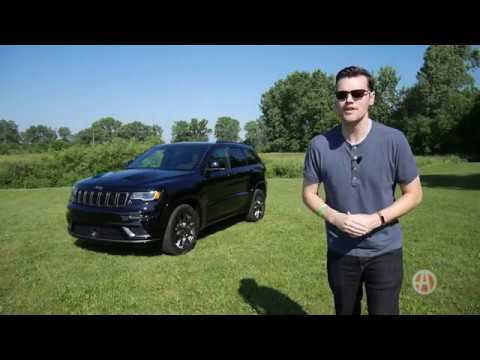 Again, we show this special edition more completely in the what's new video above. 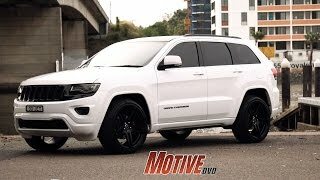 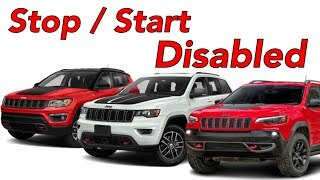 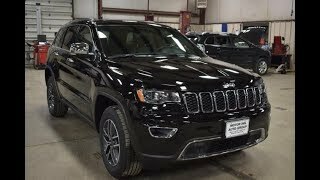 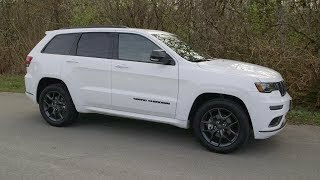 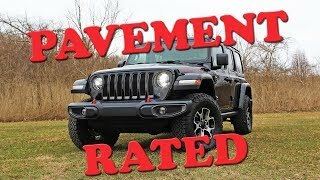 Otherwise, the 2019 Jeep Grand Cherokee remains one of the most desirable midsize SUVs on the market despite it being around quite a long time without a complete refresh. 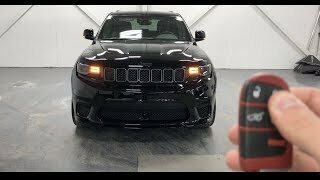 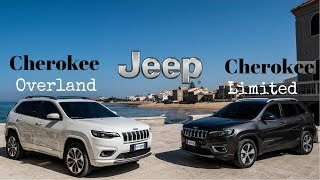 We like its superior off-road capability, luxurious interior, refined driving experience and diverse engine options that include the truly absurd Grand Cherokee Trackhawk. 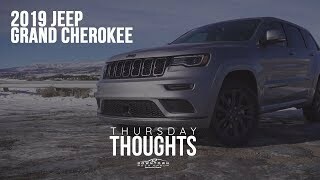 Trim levels on the Grand Cherokee include the Laredo, Limited, Trailhawk, Overland, Summit, SRT and Trackhawk. 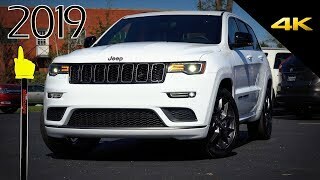 To learn more about the 2019 changes as well as what you can expect from the Grand Cherokee's fuel economy, features, safety and how it drives, please read our full 2019 Grand Cherokee review. 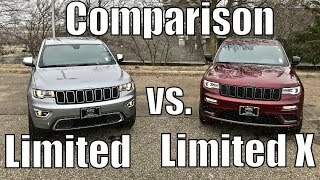 What’s the difference between the Ltd X and High Altitude? 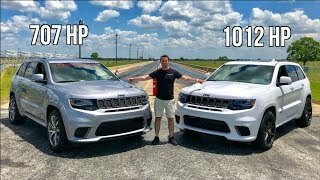 Does the Ltd X have LED daytime and Xenon headlights?